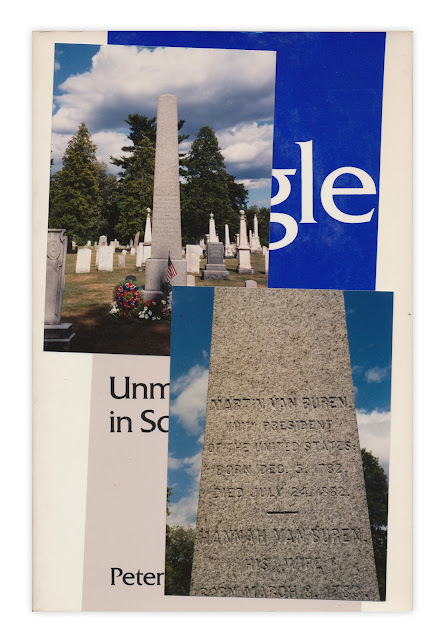 Two photographs of the Kinderhook, NY grave site of Martin Van Buren, eighth President of the United States. Found in "Single Life: Unmarried Adults in Social Context" edited by Peter J. Stein. Published by St. Martin's Press, 1981.